The Myth of the Individual. Successful people don't need coaches. Reality: Professionals have coaches; amateurs do not. In short, coaching helps the best get better. The Jaded Myth. I get all the feedback I can possibly use now. Reality: Coaching can help maximize the benefits of feedback and identify other helpful information. The "Shrink" Myth. 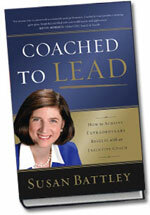 Coaching is the same as psychotherapy or counseling. Reality: A therapist's role is frequently that of a healer. A coach's role is that of a supercharger, whose primary goal is to maximize business results. The Dependency Myth. Coaching fosters an unhealthy dependency on others. Reality: At heart, coaching is a tool for individual growth and empowerment, not dependency. The Crutch Myth. Coaching should only be short-term. Reality: a long-term partnership with the right coach may make sense in supporting ongoing success. The Emergency Room Myth. Coaching is only used as a last-ditch problem solver. Reality: Executive coaching may be less - not more - successful when a person's needs and issues have reached critical condition. The Mentor Myth. An executive coach is the same as a mentor. Reality: Mentoring can be informal and open-ended, where executive coaching has clearly-defined goals, activities, time limits, and mutual accountabilities. The Walk-In-My-Shoes Myth. A coach should have a background and experience similar to mine. Reality: To coach an Olympic athlete to victory, a coach does not need to have personally competed in the Olympics. The Universality Myth. Everyone is coachable. Reality: Most people are coachable some of the time, but all people are not coachable all of the time. The Fuzzy Results Myth. There's no way to measure outcomes from executive coaching. Reality: Research shows that executive coaching can deliver an impressively high return on investment.